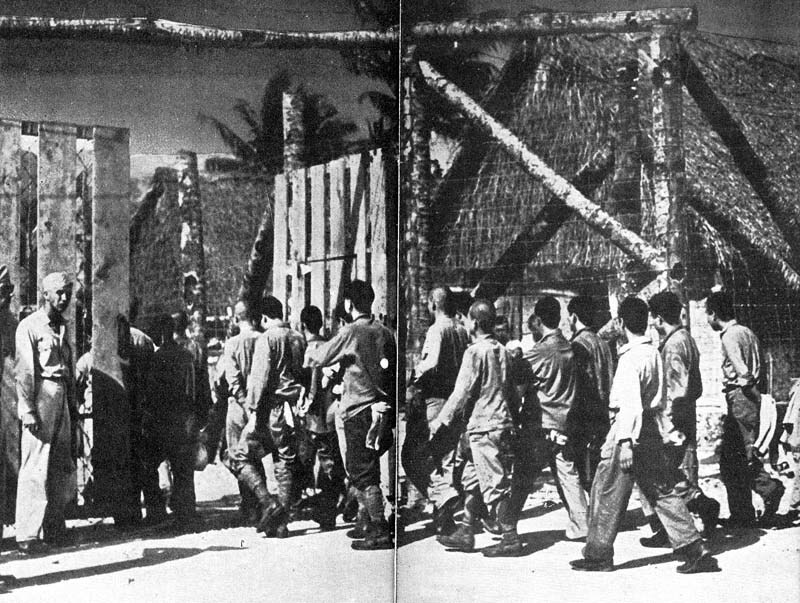 PRISONER ENCLOSURE at Guam receives 35 Japs who gave up after holding out nearly a year. 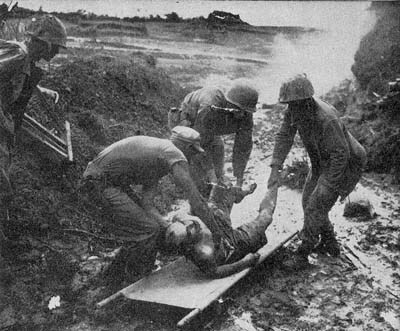 COME ON IN, FELLOWS - the treatment is fine, a Jap captured on Guam tell his die-hard comrades over loud speaker, refuting Tokyo line that Yanks torture prisoners. 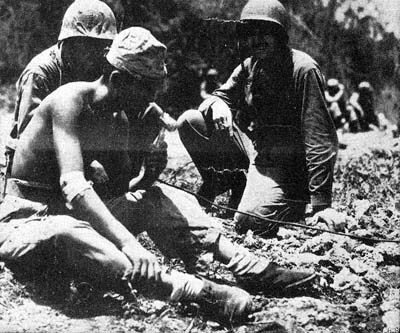 UNWILLING JAPS often become prisoners when they are incapable of suicide, like one blasted out of Okinawa cave. 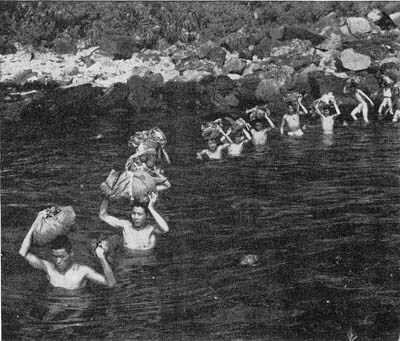 SURVIVORS from a sunken ship. 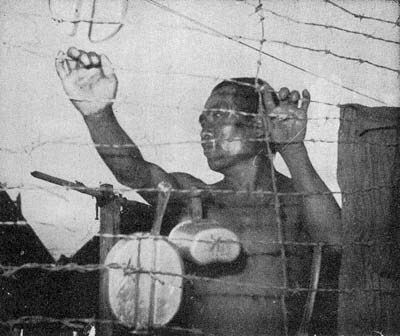 Captives looks out from behind barbed-wire hung with mess kits. 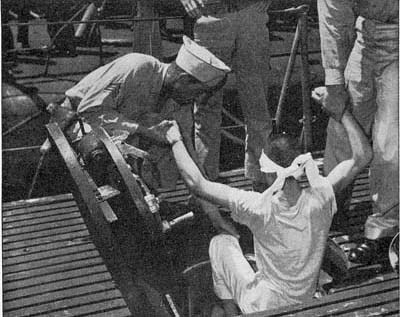 BLINDFOLDED, a Jap is brought topside on a submarine returned to its base from a patrol in enemy waters. He and others were taken when their ship was sunk by sub. 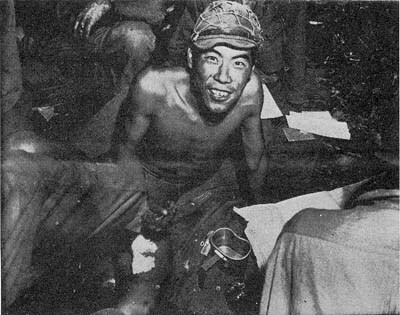 LOSS OF FACE doesn't keep all Japs from surrendering. This one smiles broadly as he enjoys Army chow following his capture. Food is good inducement to give up. 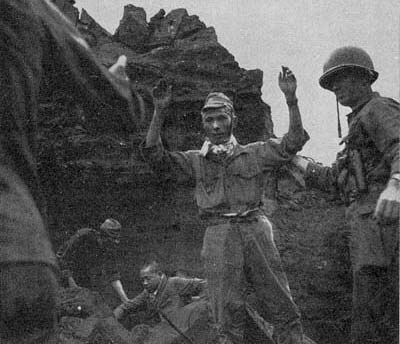 HANDS UP, Jap soldier led 20 others from Iwo cave. 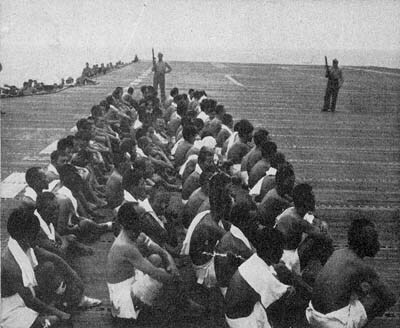 At Kerama Retto a group surrendered to picket boat. As war goes on, larger groups give up.